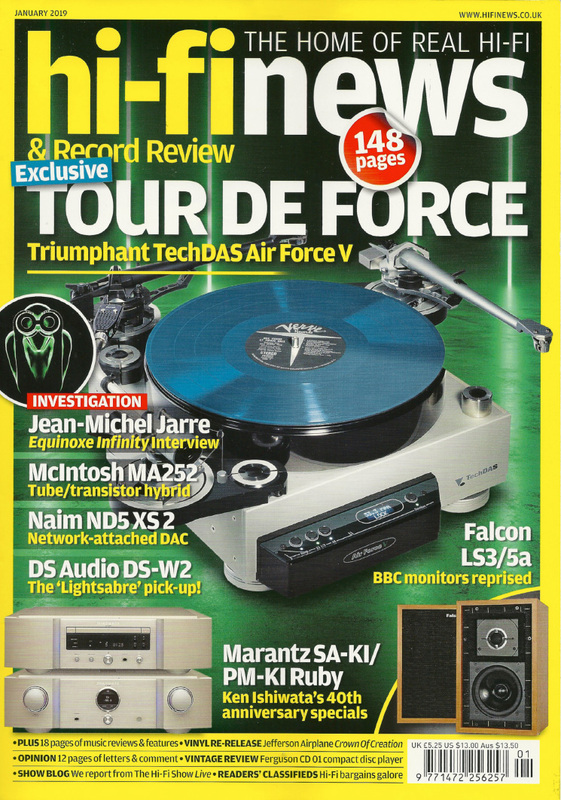 Air Force V is on the front cover of Hi-Fi News January 2019 and also reviewed by Ken Kessler. Air Force V is featured on the front cover of January 2019 issue of Hi-Fi News magazine. This issue also runs an extensive review on the Air Force V by Ken Kessler.